Please complete this registration form completely. You will then be contacted by a member of the WSCC Administration to set up a short orientation if there is availability. You must complete both steps and pay your registration fee before your child(ren) can be enrolled. We are so happy to have you joining our program and look forward to welcoming you and your family at Washington Street Community Center. My student will not be able to attend WSCC until this information is provided. I agree to provide information to the child care center about my child's conditions, illnesses, allergies or other needs. If my child becomes ill with a re-portable contagious disease, I understand that he/she will not be able to return until I bring in a physician's note stating that he/she is no longer contagious. If my child becomes ill during his/her time at the child care center, the staff will contact me to pick up my child. I will arrange for pick up as soon as possible and no later than 2 hours after being contacted. If I cannot be reached, the staff will contact those listed in the Child Emergency Contact and Release. In case of a medical emergency, the staff will attempt to contact me, those listed in the Child Emergency Contact and Release, and lastly my physician. In case of a medical emergency, I agree that my child may receive first aid and/or CPR. In case of a medical emergency, I will be responsible for the emergency medical expenses. In case of an accidental ingestion of a poisonous substance, I consent to my child being treated as directed by the Poison Control Center. In case of a medical emergency, I permit the transportation of my child to a local hospital or other urgent care facility, if necessary by paramedics or other emergency personnel. I give my permission to this center to apply sunscreen. I understand that I must provide the center with a signed written authorization for my student to use sunscreen with the brand and SPF of the sunscreen. WSCC provides a generic sunscreen free of charge called Rocky Mountain Sunscreen SPF 35. If another sunscreen is provided by the family it must be labeled with the child's first and last name and given directly to the teacher. Children may not carry their own sunscreen in their backpack. I authorize WSCC to use lotion on my child (Aveeno Fragrance Free). I understand lotion can not be applied to my child if their skin is cracked or bleeding without a doctors prior authorization. Any arrangement/employment between me and staff of this center (i.e., babysitting), outside of the programs and services offered by this center, is an individual endeavor and private matter not connected or sanctioned by this center. This center shall remain harmless from any such arrangement. WSCC highly discourages staff and families to enter into any type of outside agreement (i.e. babysitting). I understand that my child must be at WSCC by 9:30 am for full day programs. WSCC reserves the right to turn children away who arrive late without notification if ratio is not available. I understand that I am responsible for notifying the center of my child's absence by calling 303-733-4643 x100 or emailing CPD@wscc-denver.org. Preschool Families (and Summerville families) need to notify the center by 10:00 am. School Age families must notify the center by 1:00 pm for before and after care program. Families must sign children IN and OUT daily on both the computer (with PIN) and on paper daily with their first and last name. DPP (Denver Preschool Program) - Children who are 4 years of age by October 1st of each school year are eligible for the DPP credit on their tuition. I understand that it is my responsibility to file my initial application with the Denver Preschool Program. I understand that more than 5 absences in a month will lead to a pro-rated discount on my tuition. CCAP (Colorado Child Care Assistance Program)- Families on CCAP - I understand that it is my responsibility to swipe in and out daily. Failure to do so will lead to private pay billing. 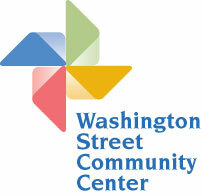 I understand that if my card is lost or stolen it is my responsibility to notify WSCC and my caseworker immediately. Occurring more than 4 absences in a month will lead to private pay billing for missed days. I agree to allow my child to participate in occasional television viewing and computer use. All media will consist of non-violent and high-quality educational material, G or PG rated. I understand that all personal belongings such as toys, cell phones and personal handheld electronics are not allowed in the WSCC Children's Program. Children may bring special items as instructed by their classroom teachers (i.e. show n' share). I understand that WSCC is not responsible for lost or stolen items. Extra clothing, nap items, coats, hats, etc. must be labeled with the child's first and last name. WSCC is not responsible for lost items. Items will be placed in the lost & found bin and disposed of after one month. I understand that it is my responsibility to look in the lost and found bin for lost items. I give my permission for my child to participate in planned walking excursions and organized travel trips in motor transportation. I understand that I will be notified each time my child leaves the building and I will be asked to sign a separate permission slip for special field trips and outing. I understand that it is my responsibility to provide appropriate transportation equipment such as a car or booster seat for my child. I understand that failure to do so will lead to my child not being able to attend outings in motorize transportation. I understand that I must provide all records of General Health, Health Conditions, IEP's (Individual Education Plan), and School Behavioral Plans 5 days prior to my child's start date. Failure to provide complete documentation prior to starting may delay your start date. If after my child's start date it is discovered that I have failed to provide this documentation my child will be expelled from care immediately. I understand that once my child's General Health, Health Conditions, IEP's (Individual Education Plan), and School Behavioral Plans are submitted, WSCC will review documents to ensure they have the capacity to meet my child's outlined needs. I understand that WSCC has the right to deny my child's enrollment based upon the center's capacity to provide care within the American Disabilities Act. I understand if my child's behavior/circumstance are of concern, communication will begin with me as the first step to understanding my child's individual needs and challenges. •	A child appears to be a danger to others. •	Continued care could be harmful to, or not in the best interest of my child as determined by a medical, psychological, or social service personnel. •	Undue burden on our resources and finances for the child's accommodations for success and participation. I understand that I will be notified in writing by the Program Director, of when my student's last day of care will be. WSCC is not responsible for finding alternate care, nor obligated to provide care past the date listed in the written notification. I understand that I must pick my child up based on their tuition schedule. Families picking up past their agreed upon time will be charged $25. I understand that WSCC closes at 6:00pm. I understand if the center can not reach me or any of my emergency contacts by 7:00pm that WSCC will contact local law enforcement. Dropped weeks or schedule changes past March 15 will result in full tuition charges. However, there is NO additional change fee for adding care throughout the summer (subject to availability). ALL MEDICAL DOCUMENTS MUST BE RECEIVED BY APRIL 15TH (or upon enrollment). I understand it is my responsibility to ensure I review with my student and sign the "Ride with Pride" agreement to ride the school van. This is updated annually. Students who violate these policies may be suspended from riding the school van. I understand it is my responsibility to ensure I review with my student and sign the "Community Conduct."